It’s our first giveaway! 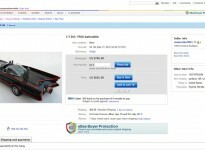 And a first look video at the 1:50 Bat-vehicles with some size comparisons. No, we’re not pointing out all the flaws and taking them apart…yet. You must be registered by 12:00am June 2nd. The offer includes shipping to lower 48 US States only. If you are from somewhere else – sorry – you’ll have to pay postage. If you don’t want it – it will go to the next person. On June 5th, after organizing my registrants, I will draw one registered email at random. That person will get the vehicles. 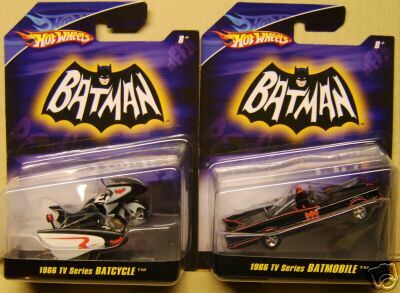 I am giving away (1) 1:50 Batmobile and (1) 1:50 Batcycle, carded. If I contact you by email – you have 48 hours to respond and “claim” your prize. That’s it. Except – you need to send us a photo of yourself with the toys when you get them. Great idea, thanks for the opportunity! Thanks Brian! Larry – that’s not how it works. You need to register with this site via the homepage. Then you’ll get a confirmation email and that means you’re registered for the giveaway.